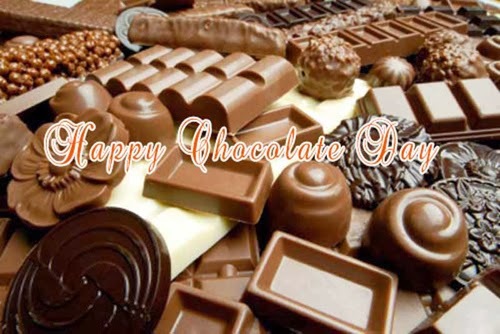 A Chocolate Day universally celebrated on 9th February every year, is also a day in the long Valentine’s week. This day is completely dedicated to Sweets, Chocolates, Cakes and Cupcakes, everything tasting delicious, dainty and heavenly. It’s proven that a dark Chocolate a day keeps the doctor away. It reduces blood pressure and helps to reduce cancer in women. So from this Chocolate Day make a habit of eating dark Chocolates. Making a girl fall in love with you is not that easy as you think. A girl is a sensitive emotional creature and need lots of attention; apart from men who are straight forward and dependent. If you want to win a girls heart, try to surprise her with sweet delight. It may be in the form of Chocolates or any Choco products which not only sweetens the mouth but also bring sweetness in the relationships to maintain loyalty and vibrancy. It is important that you must have a valentine to celebrate this sweet day. Gift a Chocolate to all your dear ones or for spouses to enjoy the day with good spirit, fun and joy. 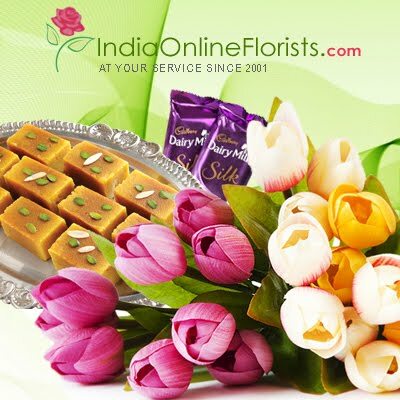 This is an occasion for love birds to please their valentine by gifting Chocolates and accepting their love proposal. Chocolates are the perfect gift for Valentine’s Day because the sweet stuff is not only traditional, it is also an aphrodisiac. Plus, who doesn’t like chocolate? Young couples choose it to be a day in a week long Romantic Day. The chocolate acts as an initiator to please their love birds, whether its men or women. As long as you know your spouse preference you will be all set to choose the ideal Chocolates to present him and her on this sweet day. Nothing melts the heart of your special person like Chocolates. It is a classic sweet seduction and memory of the giver's thoughtfulness will. The greatest power known to man is that of unconditional love. Through the ages, mystics, sages, singers and poets have all expressed the ballad and call to love. Living life without love just wouldn’t be the same. If you love someone more than anything, it personify the true love for your loving person with whom you want to spend rest of your life with him or her and promise them not to get imparted during the ups and downs of the life. If you have a single flower for everytime you thought of your partner walking elegantly in your garden of heartfelt emotions are the symptoms of falling in love with a beautiful woman or man deeply. Love happens with the mutual consent of two matured people. The importance of the day is if a person expresses his/her love to their partner no matter what happens no one can refuse that proposal to this very special day. Send delicious award winning Chocolates and Confectionery to your sweetheart to win his/her hearts and also mark up your presence on this Chocolate Day to cherish it forever. I like that If you love someone more than anything, it personify the true love for your loving person with whom you want to spend rest of your life with him or her and promise them not to get imparted during the ups and downs of the life.